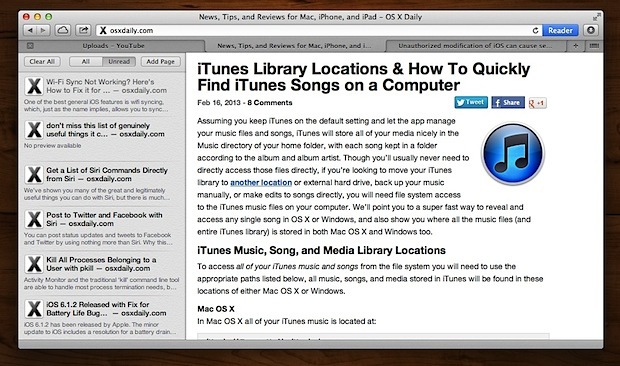 Reading List is a great feature of Safari that syncs saved web pages between Safari on all of your Macs and iOS devices. This lets you save web pages to read later and works a lot like Pocket and Instapaper, except that it doesn’t require any additional downloads, toolbars, plugins, or third party apps in order to use, because it’s all built right into Safari in Mac OS X and iOS. Though it may seem to directly compete with the likes of third party apps like Pocket, Reading List often works best as a temporary bookmark sharing service, letting you send and share links from one of your own devices to another and from computer to computer, without the cluttering of the actual Bookmarks menus with links and web pages you may only need to access once or twice. That is really it’s strong suite for many users, so keep that in mind when using Reading List, and don’t necessarily think of it as a Pocket/Instapaper replacement. Web pages saved to Reading List sync practically instantaneously to Safari on all other Mac and iOS devices that are configured to be using the same iCloud account, but without iCloud Reading List will not sync at all. You might have noticed that Twitter on the iPhone also has an option to “Save for Later”, but unlike the iPad version of Twitter it does not send those saved links to Pocket or Instapaper, instead it sends the saved links to Reading List. If you don’t use Reading List at all right now, try using it as a personal bookmark sharing service rather than a pure reader, you just may get more use out of it that way. Pocket is the superior reading service. I tried Instapaper but found it disappointing even despite the editorial link selection is interesting. Unfortunately, the developer of Instapaper, Marcus Armen, is kind of a selfish dweebus. When I wrote him about a support question he blew me off, not the kind of support service you would hope for. Oh well, Maybe I will try it again in the future after they update it for more support. Question: How do I transfer my reading list in iOS to my Mac? Is there any magic way to do it besides emailing the pages to myself? 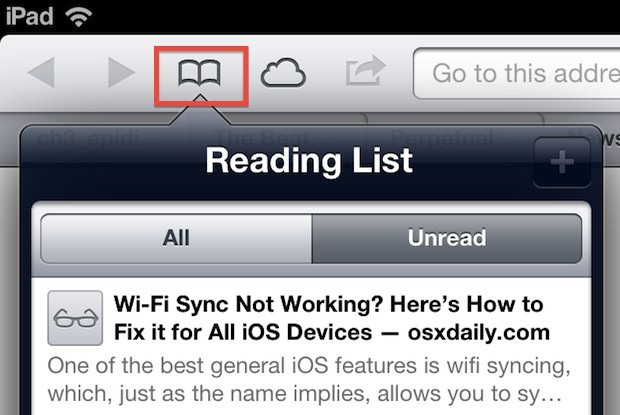 And is there a way to delete multiple “reading list” urls in iOS like you can in Mail? Or in MacOS? Kind of a pain deleting one by one – after I have read several files. BTW: I am using my iCloud account. Safari bookmarks turn into a wonderful mishmash of the two (MacOS and iOS) combined and no “reading list” to my Mac only from my Mac. Maybe it is a “feature” that will be adjusted later.